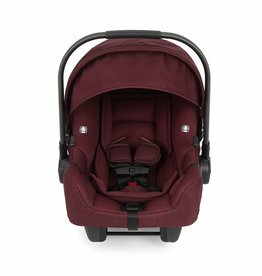 Nuna Pipa Car Seat Base - EcoBaby Gear, Inc.
Safety is number one when it comes to first purchases for your newborn. A car seat is a must. The PIPA made by Nuna provides safety that doesn't compromise style. The steel stability leg on the base helps to minimize forward rotation during impact, up to 90%. Also aircraft certified for travel. Read more about this amazing car seat. http://www.nuna.eu/USA/pipa - It comes in four colors, Indigo, berry, graphite, and night.